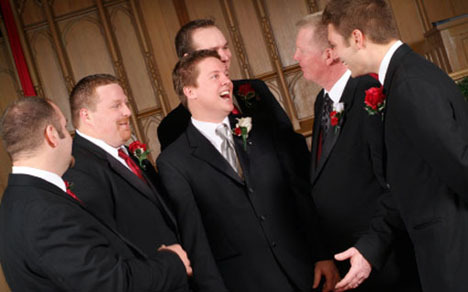 Writing a best man’s speech is easier than you may think. In this short ‘manual’, if you like, I will take you through all you need to write a great best man’s speech. Dates – how long have they been together, how long have they known each other? Background of his wife to be. Although your speech is not about her, you must give her a paragraph. In this paragraph you say what she is like and how she makes your friend feel. What they want from life and their relationship. These few points are essential. As funny as you make your speech you must add real events that have happened (the points above). The next few points you need are down to you as the best man. You need to write down these points along with the ones above. A funny story. An essential in a best man’s speech. But there are a few rules you must obey. Firstly, ex-girlfriends are not out of bounds but no gory details, if you know what I mean. If you can, avoid them. Try to make the story between 150 and 300 words. Any less than this, and the story will be too vague, any more and it runs the risk of being too long and dragging to the extent of boredom. Finally the story has to be real, if you make it up, the groom and those who know him will find out, which could lead to a tricky situation. What is your friend like as a friend, as a partner to his wife to be, and as a man? For example is he a hard worker, romantic etc? The final two things you need to write are these. What has he achieved in his life, in love with his wife to be? And in his working life, school to work? And secondly how do you want to see him in a year’s time? Kids, a promotion at work, things like that. Also add after these points that you haven’t forgot about his new wife, but that you know they will be together for a lot longer than a year. After you have got all this information there is a set way that you must write it and say it. If you follow the guide-lined layout, inserting your information, your speech will be close to completion. After you have finished writing in your information, give it to a friend to read. Watch them read it. It is harder to laugh while reading funny material so if they laugh, you have cracked it. If they like it, you are finished. The layout is below for you to follow. Good luck with your writing. I am sure you will do great. Firstly thank the groom for his speech, and the father of the bride for his. Also thank all for attending. Give up a toast for the pair of parents. And say thank you to them on behalf of the bride and groom. The bride and groom as a couple. What they are like together, etc. Tell the story of your friend, the funny one. Put real emotion into this to get the best laughs. What he is like, and what he has achieved. Love and life. The bride. What she is like and what impact she has made on his life. The final toast. Just a quick mention to wish them all the best. Was this useful. Leave us a comment below or bookmark it on a system like Delicious. From my own experience when I was asked to be a best man, I thought yes what an honour but then, oh no, the speech. Luckily I could write poetry, so I wrote a poem and also luckily I hit the jackpot, it went down a storm, it was perfect and I had accolades all night from lots of guests and photographers. The beauty of a personalised poem is the fact it is personal, you can read it, and given time to practice, it can be delivered in a meaningful way and last but not least, you donâ€™t have to let on it wasnâ€™t you who wrote it!! But the real beauty is it is a comfort to the best man in case of emergencies; panic attack, too much to drink, etc. you saved my life, thank you!!!! thanks for your words of wisdom. as a young best man at my dads wedding its helped me to actually realise what to include in a speech! and is better than those websites which tell you what to write word for word as i can now easily make it personal, yet with a good structure. many thanks. Yes very helpful never done this before gave me some useful tips and hints thanks…. Thanks , this looks great i am crapping myself but im sure with gr8 template like this and a bit of thought i wont go wrong!! Thanx for the helpful insight. this is my first best man speech and i’m kinda nervous. great info and direction. Your Website was very useful, helped me a lot. Thank you!! I found the layout provided an excellent tool to found the basis of my speech. I am very grateful for the tools and help provided. A very honest and helpful approach – thank you very much for making this freely available. thanks for all the help. I ahve to write a best man’s speech in Japanese and as I didn’t even know how to do it in English I panicked, but thanks to this site I have a clearer idea of what to include. Greetings for Tokyo! Thx for the good ideas !! I am pretty nervous…but thanks for the template. Best of luck to everyone. thank you for the structure & good tips. you have gave me that added confidence with your honesty. hope it sticks. & good luck to all. stay away from the drink. Cheers Buddy. Just remember to visit the bog before the speeches. Great stuff. I’ve read a lot of stuff on the bast man’s speech and this has been the best, most to the point piece I’ve read. Thanks. thanks very much for the help. succinct and just what you need. 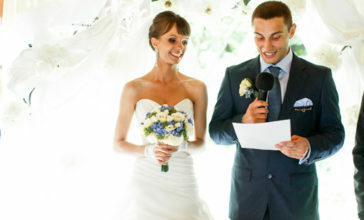 writing as a female (sister of the bride and not a lezzer) quite difficult to do best man speech, so simple instructions very welcome – good “bloke language”! You are expected to be funny, and perhaps even a little rude. But don’t get too carried away. There is nothing worse than a best man who lurches from one story of debauchery to another. And Grandma Margaret is unlikely to take great joy in the finer details of the stag-do in Amsterdam. The key is to allude to the dirty and debauched past without embarrassing either the groom, the bride or yourself. Remember that you are there to entertain the entire audience and not just your fellow stags. Talk slowly. If it takes 12 minutes, not nine, it doesn’t matter at all. Pause for effect. Your audience need time to digest the story before they get the punchline. So give them time to get it. Emphasise key words. Imagine you’re telling a story to a friend. Practise. However well written the speech, you don’t want to be ‘reading’ it. Know it well enough that your notes just become a safety net. Gesticulate. Body language is vital. Use your arms to emphasise a point. If you’re addressing someone, look at them. Try to make eye contact with your audience whenever you can. Be put off by a heckle. You can pre-prepare a couple of responses to a noisy member of the crowd. Give in to the shakes. Holding a shaky piece of paper will put you off before you get going. Paste your speech onto card. Or rest it somewhere you can see it. Find out if there’s a lectern. Get drunk beforehand. It may feel like the easy way to get through it, but it won’t seem so sensible afterwards. Just read it out. Great material is irrelevant if it’s delivered badly. You’ll be much more natural when you’re not reading straight from the page. Thanks for the advice I dont know what people did before websites like this where around, I had no idea of how to present my speech or the order in which to do it very helpful cheers! Thanks, this is just what I needed to get me started. I had thought about just “winging” it on the day but Im so glad I looked at your website because the worry of making a speech was starting to ruin the whole thing for me. Now that I have a speech written down in front of me I can start to relax a bit. Thank you again your a real God send. This a great. Thanks for the tips. Think this will help a lot. Nervous as hell, but this should help. Fingers crossed. oh man you saved me from the rattle snakes! at first i was so scared to death thinking about this speach i will make.. so scarred i cant even think! LOL thank you so much! this is real helpful, am pretty much use to talking in front of large audiences, as i play guitar and vocals in a band, but didn’t av a clue how to shape a speech- really useful advice here! 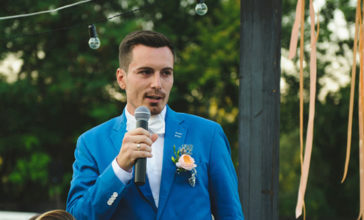 was very nervous about having to make a speech (the bride is my sister, and i’m going to be the grooms best man- so obviously i know more about the bride than the groom), thankfully this template has really helped! 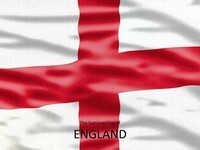 Time will tell but its taken a massive weight off my shoulders!! thankyou this has got me off on the right foot! 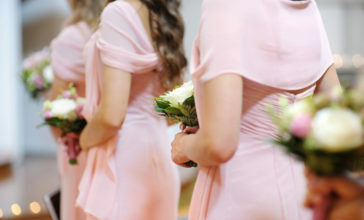 thanks for this site would like to say tht i was given the opertunity to be the best man for my sisters partner today(12/06/08) but will not be done until july but have looked on this site and found it rather helpful will get back to you when i have done it:-):-) thanks again. The guidelines were very usefull, thanks!! thanx. what a great site. Now i have some idea of what i need to include!!!! GREAT THIS SITE HAS GIVEN ME A STARTING PLACE ..! I had plenty of ideas floating around in my head and i found the structure extremely helpful. Thanks a lot!! I Done my best man speech at the weekend ther, it went down really well thanks to the advice from the site. Structure, content etc. I had planned to adlib on the day, but glad i found this page to plan it! Goodluck to any-one writing ther speech! You kno iv’e trailed the internet for months with not much to show untill today by chance i came across your site,Thankyou,thankyou,thankyou iv’e found peace and surely i will sleep tonight as i havent even had a blink of sleep for weeks wracked with worry,public speaking ?who ever started it. Cheers. This is a great guide and has been really useful. Fingers crossed that I don’t muck up on the day! Definately a helping hand, im best man in November and really nervous. This has certainly put my mind at rest. Im sure i can create a good speech now.! Truly an amazing page of information, I could not have complete my speeche without this bit of information. One Love! 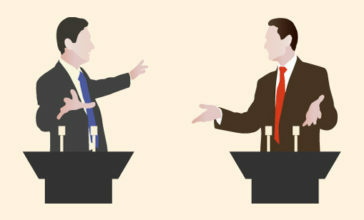 It is so nice of the people who have thought to put the ideas for others’ help in improving their public speaking. nice one, now i know what the hell i gotta write about. soo helpful!!! Thank you for your help… It was really useful!!! Very detailed instructions. Thank you. I would add that you should always think about your audience when writing a speech. What would they want to hear, what could surprise them, what would they consider funny/offensive? If you think about your audience first the speech can be nothing other than a smashing success. You sure are genius. I had a tough time at my last assignment as a B-man. But i hope subsequent ones will shine. Thanks for making this available for us to see, it’s just what i needed to get me started! great advice! still a bit nervous but this should help out loads! Thanks for the structure, it was just what I was looking for. Most other websites just have rehashed jokes that everyone uses. I did the main speech at my own wedding (the best man was too nervous), and now I’m the best man at the wedding of one of my brothers in two weeks. The advice here has given me just what I needed to get me started. This format places heavy emphasis on being humourous; I think it is FAR more important just to be yourself. The advice on wikihow was far more appropriate! There is little I would use from this advice, but good luck to all the budding comedians out there. I’m drinking and its 2 hours before the big speech. This website was short and sweet. Be sure to keep this up with the guys in this situation in the future! It was very helpful. Thanx so much…..i did not have a structure to work through…I have now ,and what I like is that your format is not complicated…it is easy to work to and enbles a lot of freedom within it….four days to go …I will let you know how it went…..kindest regards ….Michael. Perfect… I was honoured to be best man for a great friend 5 years ago and went through the stresses of everything for the first time then. It went like a dream after a lot of hard work so I thought it would be a breeze this time round for my brother’s wedding next week, but I got serious writers block today when it came to the structure of the speech… Thank you for your simple yet hugely effective guidance. nice one!!! helped me out loads…. went down really well!!! I particularly like the idea of giving a toast to the parents, I began my best mans speech with a toast to them. In most speeches the parents are not specifically thanked in a toast and I feel they should due to the awesome amount of effort they will have made to make the day possible. This is one of the most helpful tips that I’ve read about in writing a best man’s speech. Thanks for sharing. Exellent source. We used this last year when hubby was Best Man for his friend and now again this year as he is Best Man for his brother. Handy outline which allows for creativity but helps keep it structured. Gracias! Props work as a great addition to Best Man speeches so don’t be afraid to use them in your Best Man speech. Very interesting, I have just wrote the perfect speech for Adam and Sarah’s wedding. 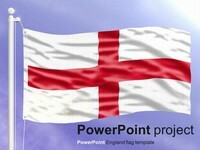 this powerpoint can make me learn something new! thanks so much, i would have gone in the wrong direction if not for this page. This is one of the most helpful tips that I’ve read about in writing a best man’s speech. 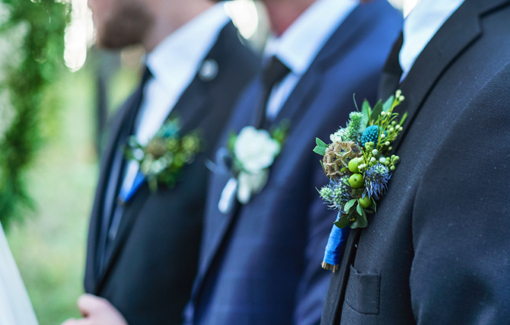 There are loads of ways to get a best man speech done well – it really shouldn’t be such a worry, because it’s one of the biggest honours you can ever receive. Very good, another tip I would add to Ryan’s great article is to offer the bride and groom advice on marriage. This can be a very funny element of your speech even if you are not married you can say something like ” As best man I am aware that offering marital advice is part of my speech, and given that I am not married I turned to the internet for advice,where I learned that as a married man there are only 4 words you need to know – “you are right dear” or similar. very helpful thanks!. Left it till last minute to write, and didnt know where to start but thanks to this site it now looks something like a speech! Absolutely nailed it due to the tips this site gave! Got the formalities out of the way, then followed the recommended structure, threw in a few funnies & had the Bride, Groom & guests rolling round on the floor with laughter! Tip to anyone… don’t stress about the speech, it’s not about you. Get stuck into early so you’ve got plenty of time & don’t forget to say lots of nice stuff! Enjoy it, it should be an honour & a pleasure! Excellent reference material. Thanks for the helpful bullet points. Thank you so much for writing this guide. I’ve been reading best man speech help sites all day and this one small page is by far the best writing guide I’ve found. This has been a great way to make a speech. I only wish I had found this site before the day of the wedding. But nonetheless it helped me very much. Thanks for all the help and advice. thank you now i’m more nervous than before, wow you all make this seem so easy! but it can be done a couple of tequila shots (not), thank you for the help!